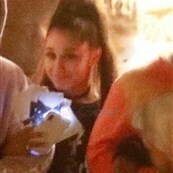 Ariana Grande, just 7 months after the release of her previous album, Sweetener, dropped a new album, thank u, next last night. I thought Sweetener was fine. It didn’t make me want to hit repeat, I wasn’t listening to it on every car ride, so already for me, thank u, next is better. I went through a quick listen this morning and can’t wait to give it a full brew when I get home tonight. My favourite song, so far, is “bloodline”. Tomorrow it might be something else, which is a good sign for an album, when you keep changing your mind about what song you like best because you like so many. As you can imagine, already thank u, next is the biggest thing in music right now, soaring up the charts, #1 in many countries around the world. And conveniently as we approach “music’s biggest night”, which is how the Grammys are billed. So, in theory, you’d want the biggest thing in music to have a presence on music’s biggest night, right? Earlier this week it was reported that Ariana would no longer be performing at the Grammys because she wasn’t happy with what the show producers were pitching her. She supposedly wanted to sing her hits and they wanted her to be part of a medley, or something. I’m including that because, “anyf-ckingway”, she then moved on to her work and proceeded to redirect the conversation over to her music and that was what ended up taking over social media, thank you, next, Grammys. So now the Grammys are going into the weekend looking like… well…like … is there all that much enthusiasm about the show? All due respect to Alicia Keys but I’m not “I can’t wait!”-ing for her to host. Rihanna won’t be there. Drake probably isn’t going. Taylor Swift is skipping it. Beyoncé definitely isn’t showing up. And the artist with the two biggest songs in recent months just told them to f-ck themselves. Or, rather, they f-cked up their opportunity with the artist with the two biggest songs. As many people have pointed out, this is not unlike how the Recording Academy treated Lorde last year when she was the only woman nominated for Album of the Year and they told her they didn’t want her performing a song from Melodrama but instead wanted her to be part of a Tom Petty tribute so she decided to take a seat and not get up on stage at all. Afterwards, the Academy president and the show’s producer were all like, we can’t have everyone perform and that’s just how it goes, we just want a balanced show. I mean, sure, putting the only female AOTY nominee on stage would be a sort of imbalance, wouldn’t it? It would point out the f-cking imbalance. But this is also similar to the Oscar Academy’s problem a couple of weeks ago over having all the Best Song nominees perform – or not having all of them perform. There was outcry and they fixed the situation. It did, however, add to the ongoing sloppiness of the Oscar show this year with the host-less situation and the presenter drama. What is WITH these Academies this year? Why are they so messy? As for Ariana, she doesn’t seem bothered. Her album is so far being well received. And a lot of people are talking about the video. I have a colleague, a millennial, who couldn’t stop talking this morning about how he waited on YouTube for the premiere, along with millions and millions of other people, until midnight or something and it’s all he can do today – think about Ari. I assure you he is not alone. The video is for the song “break up with your girlfriend, i’m bored”. She plays a girl who seems like she’s trying to come between a guy and his girlfriend. With a twist at the end. Meet on the other side? 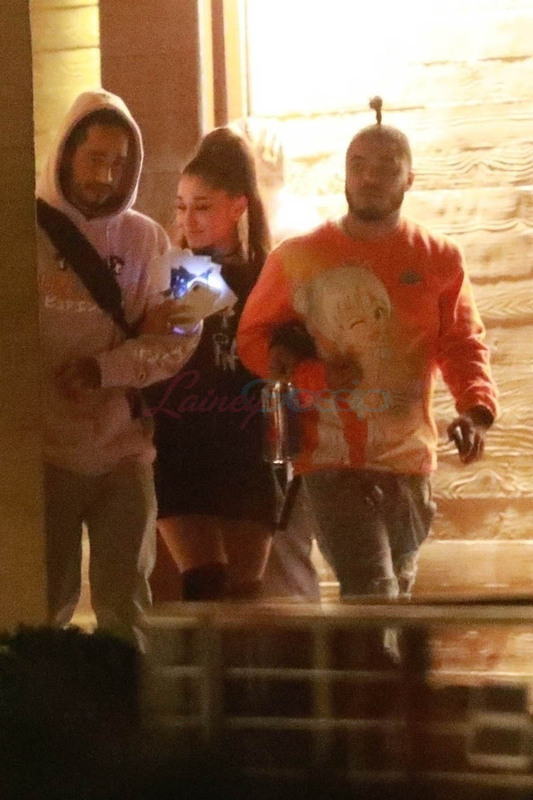 I’m not sure Ariana’s trying to break up a relationship here. Or the kind of relationship you think she’s trying to break up. This song is the last song on the album. It immediately follows “thank u, next”. In “thank u, next”, after talking about all her exes, she sings about falling in love with herself. Can’t be an accident that the other girl in this video is dressed and styled exactly like her. To me that’s the obvious theme. It doesn’t mean the title and the lyrics make any sense (there’s no other interpretation for what she says in the song itself) but that’s the point of the video, non? 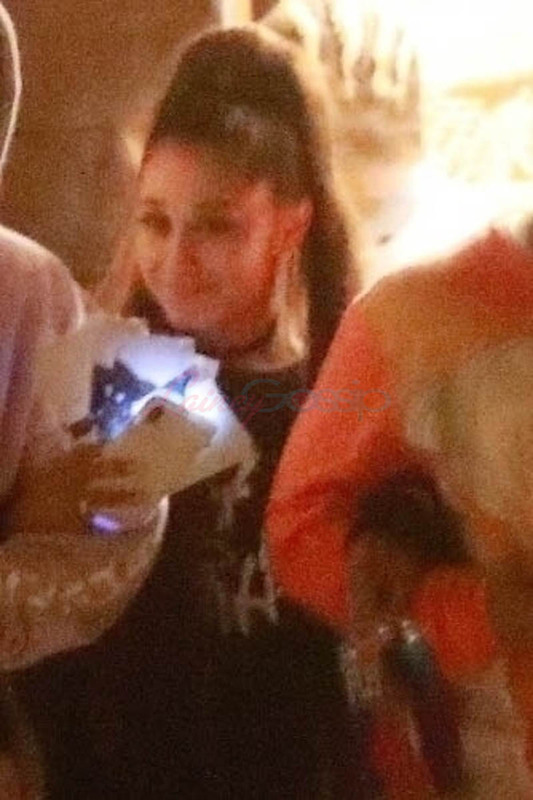 Attached - Ariana out for dinner at Nobu last night. 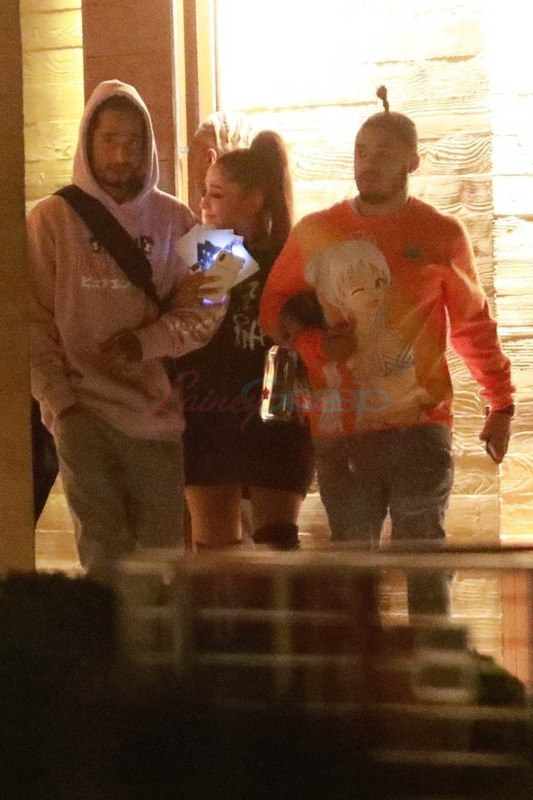 Are Ariana Grande and Big Sean back together?